Official sources said that India will forcefully raise the issue of Pakistan's support to terror groups during delegation-level talks between Prime Minister Narendra Modi and the Crown Prince on Wednesday. 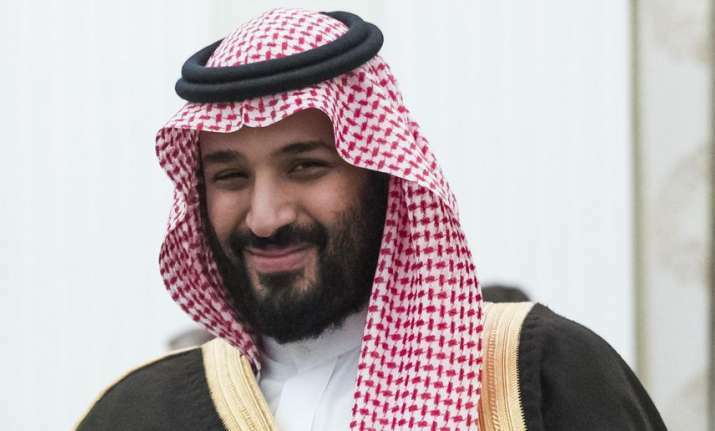 Saudi Arabia's Crown Prince Mohammed bin Salman is due to arrive in India today for a two-day visit. India is likely to strongly raise the issue of Pakistan-sponsored terrorism with Saudi prince as the two countries will look at further enhancing defence ties, including having a joint naval exercise during his visit. Ahead of the visit by the Crown Prince, Saudi Arabia's Minister of State for Foreign Affairs Adel al-Jubeir said on Monday that Riyadh will try to "de-escalate" tensions between India and Pakistan in the wake of the deadly terror attack in Pulwama by Pakistan-based Jaish-e-Mohammad. Official sources said Saudi Arabia was no longer accepting Pakistan's narrative on Kashmir and cross border terrorism and that India will forcefully raise the issue of Pakistan's support to terror groups during delegation-level talks between Prime Minister Narendra Modi and the Crown Prince on Wednesday. Referring to cross border terrorism, Secretary, Economic Affairs in the External Affairs Ministry TS Tirumurti on Monday said, "Saudi Arabia has strongly condemned and denounced the terrorist attack on Indian security forces in Pulwama on 14 February. We appreciate Kingdom's cooperation in security and counter-terrorism areas over the years." However, the prince today issued a joint-statement with calling for avoiding "politicisation" of the UN listing regime at a time when India was stepping up its efforts to brand the Pakistan-based Jaish-e-Mohammad (JeM) terror group's chief Masood Azhar as a global terrorist, a move that may not go well in New Delhi. Ahead of his visit to India amidst fresh Indo-Pak tensions, the Crown Prince stressed that dialogue is the only way to ensure peace and stability in the region to resolve "outstanding issues" between India and Pakistan, according to a joint statement issued by Pakistan at the end his visit. Tirumurti said both sides are expected to sign five agreements in areas of investment, tourism, housing and information and broadcasting during the Saudi leader's visit. The Crown Prince will call on President Ram Nath Kovind and he will host a banquet in honour of the visiting dignitary.